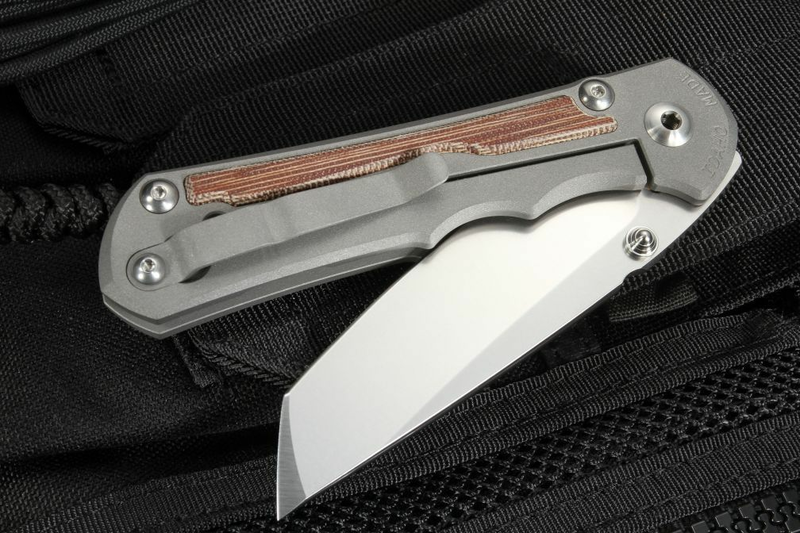 The Chris Reeve large Inkosi Tanto is a full-sized multi-purpose folding knife version of the Small Inkosi pocket knife which is popular for EDC (every day carry). 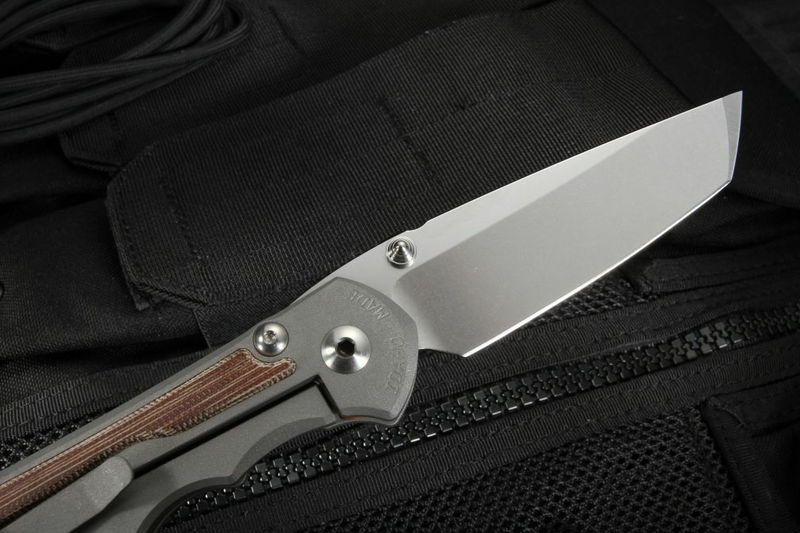 With a new Tanto blade shape design in 2018 combined with the robust build of the Inkosi, this dependable blade is perfect for military and tactical use. As the successor to the extremely popular Sebenza 25, this Inkosi Tanto is an excellent choice for heavier cutting tasks, hard workloads and fits large hands. The 3.6-inch heat-treated blade is produced to a Rockwell Hardness Scale rating of 59-60 for exceptional razor-sharp edge retention and made of the finest Crucible S35VN stainless steel. The drop point shape with a rounded top blade spine and jimping on the blade thumb rest makes this knife strong for everyday use with excellent blade control. 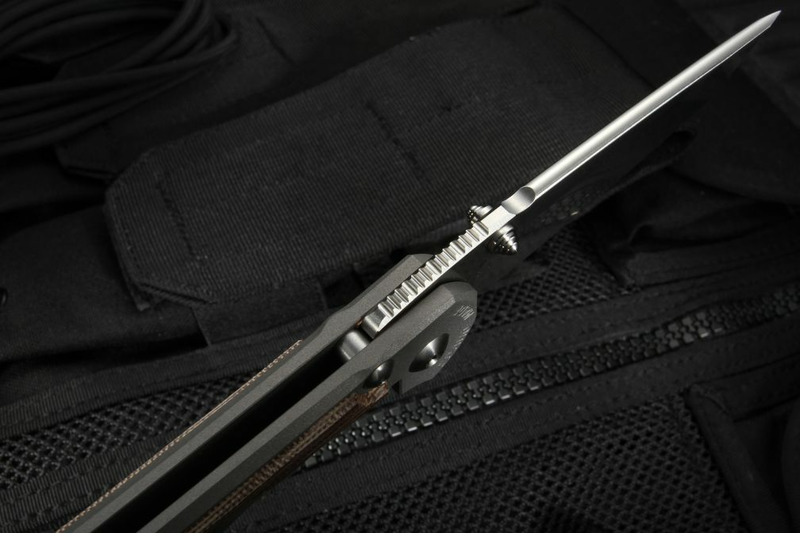 The large Inkosi Tanto is fast opening and swift to lock in place with Chris Reeve's Integral Lock system, combined with a 97 RC ceramic ball end lock for many years of durability. 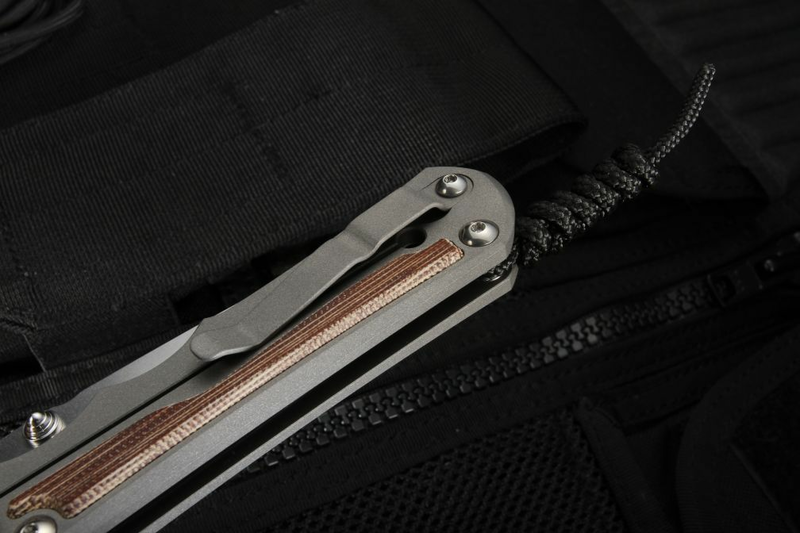 Weighing in at just 4.96 ounces and 8.335" inches fully opened this knife folds to 4.75 inches for easy carry in a pack or mounted with the tough pocket clip and lanyard hole in the handle. 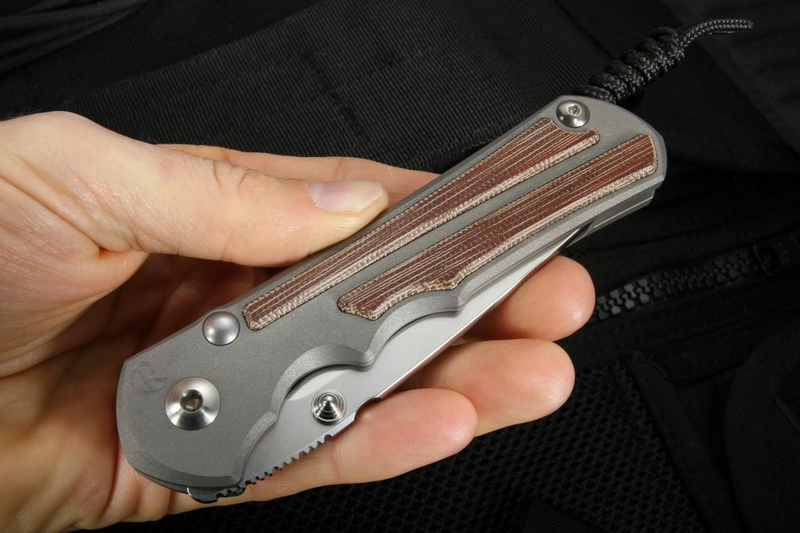 The natural color Micarta inlays on the front and back of the 4.8" inch handle give the large tanto folding knife a stylish appearance. The added finger groove on the bottom of the handle provides a firm grip and control in all weather conditions. 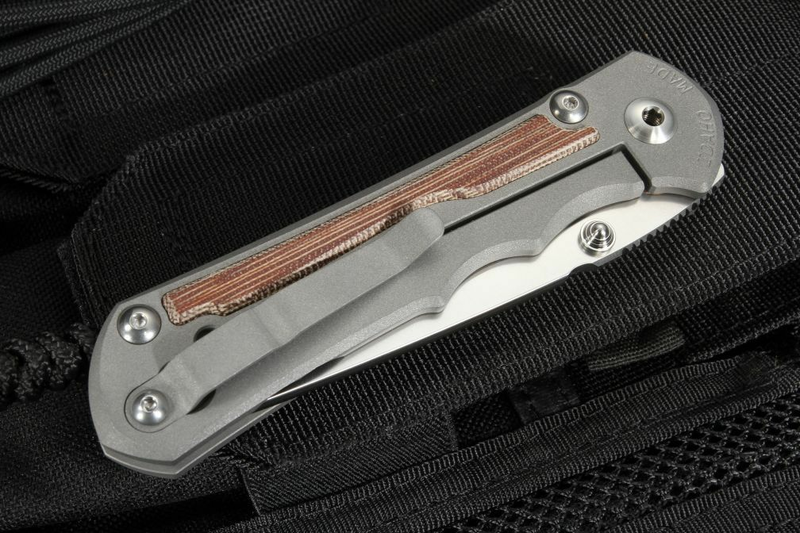 303 stainless steel hardware and silver titanium accents offer extra stability and style. 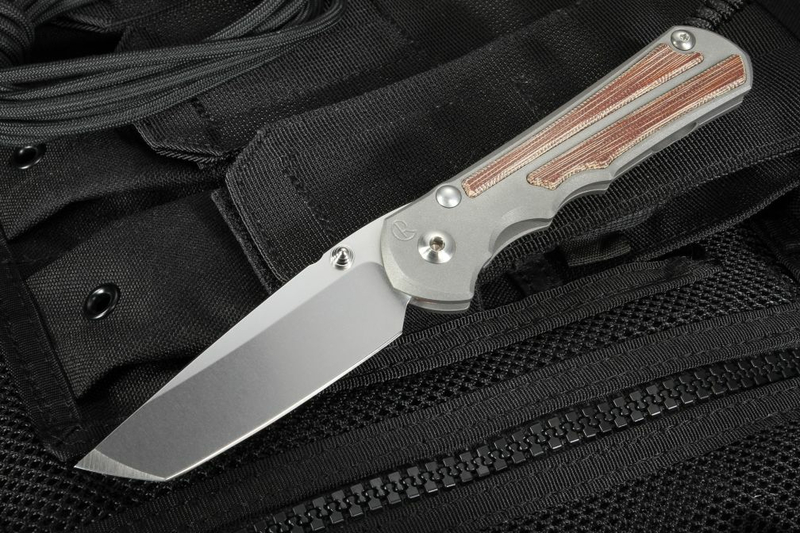 The stylish Inkosi Tanto folding knife from Chris Reeves comes with a satisfaction guarantee and excellent customer service from Knife Art. 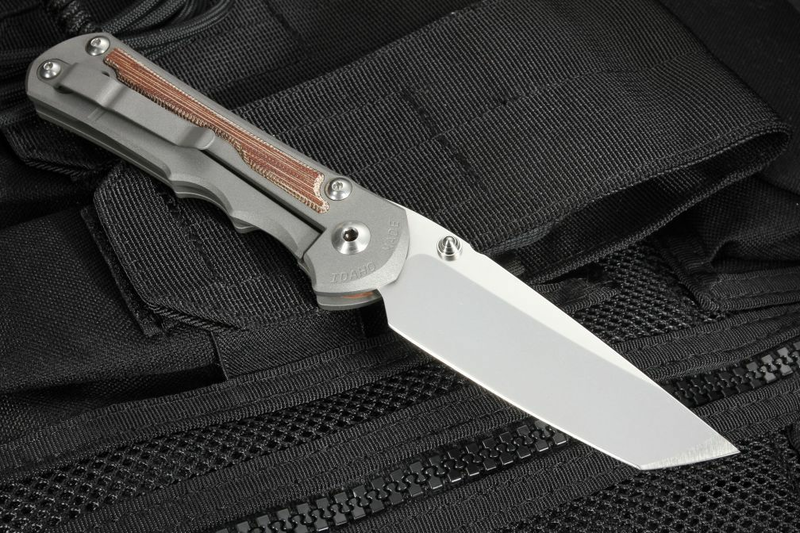 As an authorized dealer who selects only the best high-end knives made from the finest materials we offer Free US shipping and accept all major credit cards, including PayPal.